Written by a 60 year-old nuclear safeguards inspector this program is unlike anything you've ever seen before. It makes use of a secret building method discovered by a one-legged war veteran that enables anyone to build a bunker and root cellar without a lot of money or any hard work. Finally, you'll sleep easy at night knowing you have your own hidden stronghold, where you and your whole family can take shelter from looters, hurricanes, tornadoes, and even nuclear fallout. And the best part? Your Easy Cellar will also keep every one of your supplies safe year-round and prevent them from spoiling...even without any electricity. First of all, we made this blueprint as simple as possible so that it would be a no-brainer. Just like me, you'll have Jerry on your side telling you exactly what to do until you finish your backyard Easy Cellar. You'll have unlimited access to our videos, our plans, and our instructions...and you can call Jerry to ask him anything about your project as part of our program. Just imagine the exact spot in your backyard where you will soon have your old-fashioned root cellar. When stepping down those stairs, the cold air will take you back in time at least 100 years, when every house in America had one to store everything our great-grandparents grew or bartered for. It kept everything from spoiling without electricity, and it will do the same for you. You'll have fresh, healthy food right off the shelf to feed your whole family. Not to mention that it will look so cool that all your friends will bombard you with questions about it. The Easy Cellar was specifically designed to be hidden away from prying eyes or looters. So even if you're outnumbered and surrounded with nowhere to run, you'll always have this secret place to go to, where nobody will find you. So how will you feel, when five looters are ravaging your house, to be able to observe them safely while tucked away in your concealed bunker? And even if FEMA comes for your supplies to redistribute them, they can't steal supplies they don't know are there...because your cellar will be invisible. The Easy Cellar will serve as a perfect storm shelter too. You and your family can always take cover there, even from F5 tornadoes or category 5 hurricanes. After these catastrophic events that tear down houses and cause weeks of blackouts, you won't have to sleep on the floor of some high school or stadium, crammed in with thousands of other empty stomachs. Instead, you'll still eat delicious food three times a day and stay safe all thanks to your Easy Cellar. I will also show you exactly what to store in your Easy Cellar so you can have everything you need to stay inside for three months. That's right, if you don't want to leave or it's dangerous to go outside, you and your family can outlast any crisis from the inside. You'll learn how I made my own odorless toilet and reliable sink in less than 60 minutes. I personally tested my Easy Cellar: For one week, I closed myself inside just to see if I needed anything else. Believe me, sometimes no TV can be a good thing. I had my radio with me though. It was one of the most relaxing and carefree weeks I've ever had. I would have stayed longer, but I didn't want to diminish my food reserves for nothing. You'll also discover how to use an ingenious method to safely store large quantities of water-a method that was used by our great-grandparents too. You see, with no direct sunlight and the cellars' low temperature, water doesn't spoil easily. But using this method will keep your water fresh almost forever. The Easy Cellar might be easy to build, but it's a nightmare for anyone who would try to break in. In that regard, it closely resembles a panic room. Plus, whoever gets in gets shot! Anyway, you probably won't find yourself in that situation, because as I said, no one will find the entrance unless you show them. As you know, one of the most important parts of any cellar is the ventilation system. This is one of the things that I'm most proud of because I took Jerry's ventilation system and tweaked it, and now it filters anything a professional nuclear-biological-chemical filter would. You'll never have to worry about any airborne contaminants getting into your Easy Cellar-not even nuclear fallout! 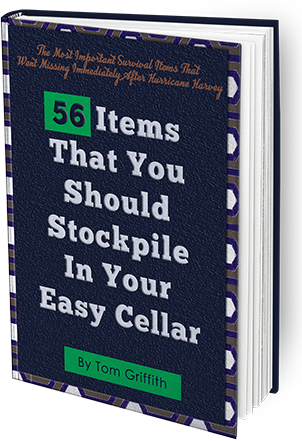 Plus, in our program, you'll find my step-by-step system to survive in your Easy Cellar after a nuclear blast. Chances are you won't be directly hit. What you need to worry about is the nuclear fallout and when it's safe to go outside. 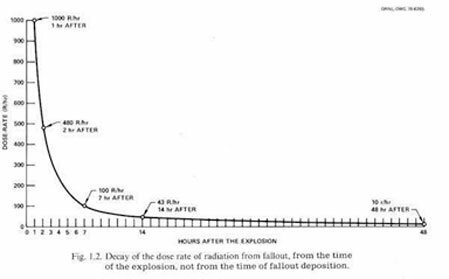 Contrary to popular opinion, while immediately after a nuclear explosion radiation levels skyrocket for hundreds of miles, they dissipate very quickly compared to a nuclear power plant meltdown. That's why they rebuilt Hiroshima and Nagasaki in just a few months but Chernobyl is still a ghost town 30 years later. After just seven hours, the radiation level will have fallen so much that it will cause only radiation sickness. After 49 hours, it is almost safe to go outside. Two weeks after the attack, you can be exposed for several hours a day without serious risk of radiation sickness. 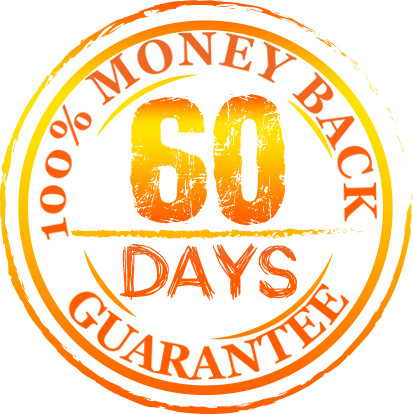 A year after the attack, radiation levels will be close to normal background levels. So, you won't need to stay hidden in your Easy Cellar for years. After one month, you can start spending a considerable amount of time outside. Plus, you'll also discover 15 natural remedies for radiation that you can keep in your Easy Cellar. The principle for protecting the body from the absorption of nuclear isotopes is the law of selective uptake. Reduced to bare bones, it means that radioactive isotopes look like nutrients to the body. So, if the body is deficient, it will grab hold of the isotope and use it in the body. You can prevent this absorption by taking extra doses of the nutrients you need. For example, iodine supplements protect against iodine isotopes, cesium-137 mimics potassium in the body, strontium-90 mimics calcium, plutonium-239 mimics iron, and so on. The 15 foods that you'll find in our blueprint are critical, and if you don't already have them among your reserves, you NEED to add them FAST! One more thing...after an EMP or a solar storm, there will be no more electricity. But that won't bother you at all! You won't need a refrigerator if you have an Easy Cellar in your back yard...and basically, you'll have anything you need to live a normal, healthy life and even help others if you want. reports that will be off the table soon. I chose to offer this report at no extra cost because I know how many American lives will be saved just by knowing the vital information contained within this report. Until your Easy Cellar is ready, you'll still have somewhere to go, so you'll be more protected starting this very minute. I personally keep it in my car whenever I'm traveling. There is no telling where you will be when a nuclear war begins. It's not like we will have any warning if Kim Jong-un or some other unstable regime leader-or even a terrorist organization-decides to push the big red button. 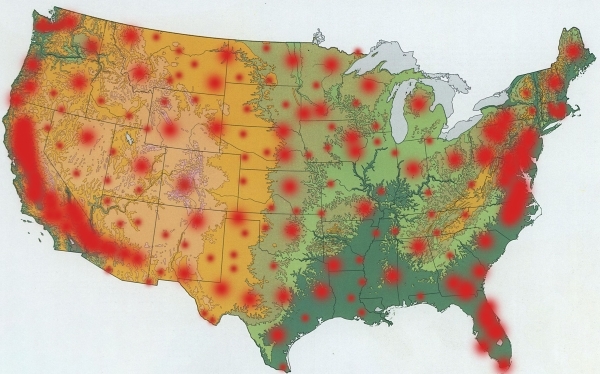 There are literally thousands of natural bunkers all across America, and there isn't a state that doesn't have at least five of them. 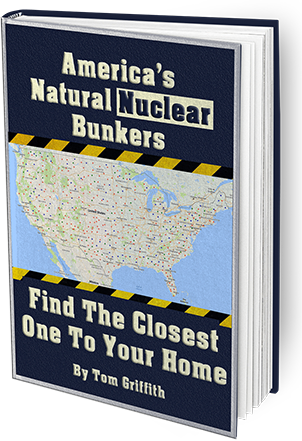 The first thing you need to do is to search for your state and find the closest natural bunker to your home and your workplace. Pound per pound, I've selected only the best items in terms of space occupied, price, and added survival value...and my Easy Cellar has them all in various quantities. I'll also show you the three items I missed the most when I spent a week in my Easy Cellar. Don't make my mistake! Add these to your reserves! You'll also discover what my friend Jerry stockpiled in his own cellar. There are some items and foods that are more suited for a cellar and that never spoil in one. You'll also learn how to store them so you'll never run out of food. One more thing...these 75 items are specifically for Americans who won't make it without the basics and can't spend a fortune trying. You'll discover the top Items that are just as good as name brand products but a fraction of the cost. So, if you choose to follow the Easy Cellar Program, you'll also get these exclusive bonuses that are worth $29 each-FOR FREE-and unlimited access to the members' area, where you can ask me anything at any time. I will be there to answer your questions and to help you if you need any clarification on anything else. We made the Easy Cellar, like the name suggests, as easy as possible. My goal was to give everyone the possibility to have an old-fashioned root cellar and a bunker combined into one right in their backyard in as little as one week after receiving our program and with minimal cost and effort. Remember back in the day when a man's word was his bond? He needed nothing else. Frankly, I miss those days, and I still like to do things the old-fashioned way-on a handshake! Today, in keeping with those simpler times, I want to offer you our one-of-a-kind "Handshake Guarantee." When you get the Easy Cellar Program, you don't risk a single dime. I wholeheartedly believe in the Easy Cellar Program and are more than willing to put my money where my mouth is. If for any reason whatsoever you're not 100% fully satisfied with how inexpensive, easy to build, and incredibly effective at protecting your stockpiles and your life the Easy Cellar truly is, just send me or a short e-mail, and I'll will refund you every last penny, right into your PayPal or your bank account, within 24 hours with no hassles and absolutely no questions asked. Of course, you'll be able to keep the two bonuses just for giving the Easy Cellar a try. You may think I'm going out on a limb offering such a powerful guarantee...but really, I'm not. Most folks love the Easy Cellar so much that I hardly ever receive a refund request. So, go ahead and become one of the thousands of Americans who have already protected themselves and their families and will eat fresh, healthy food from their root cellar this winter. You really have nothing to lose. 1. How much space do I need in my back yard for the Easy Cellar? The best part about the Easy Cellar is that we developed it to adapt to every possible dimension. You can build a really small one at about 10 square feet or 1,000 square feet and even more. It all depends on your needs and available space. 2. How long will it take to build the Easy Cellar? Again, it depends on how large you want to make it. Mine is 150 square feet, and it took me just one week to get it done. 3. How much work is really involved in buidling the Easy Cellar? Everyone should work at their own pace. If you want to dedicate one hour a day to building the Easy Cellar, that's fine. It doesn't matter how quickly you finish it. What matters is that in a week or a month, you will have the cellar of your dreams in your back yard. The only thing I would like to say about the work involved is that if you want to do the digging (like I did), that is the most time consuming and hardest part of the job. But it's not that hard; it's just digging. If you do call for the excavator, you'll pay anywhere between $200 and $500, but the job will take only 2 or 3 hours. 4. How much does the Easy Cellar cost? Cost is always a relative issue but I can tell you that with about $400 dollars you can build a perfect Easy Cellar. Mine was $421 but as I said I wanted a bigger one than most Americans would need so yours could end up costing a lot less...besides if you compare $400 dollars to the cost of having as company build a bunker for you, or even burying a shipping container it will be MANY TIMES less expensive. 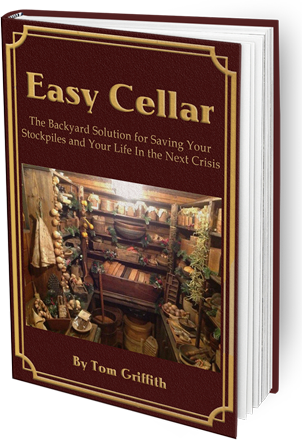 The Easy Cellar is the only viable solution for having a bunker and root cellar that can protect you from any crisis..without having to pay thousands and thousands of dollars. 5. Will the neighbours notice what I'm doing as I build my Easy Cellar? If you follow my instructions as I laid them out in the Easy Cellar Program there is only a slim chance for that. As you've seen I had no idea when my next-door neighbor Jerry had built his and it was only by sheer luck that I saw him one day descending into his Easy Cellar. As you will see once you've built it, from the outside it's practically invisible to everyone, except the people you decide to show it to. 6. What if I'm too old/frail/sick to build this? I promise you, that even if you are 70 years old, and crippled with arthritis you too can build this, and benefit from everything the Easy Cellar has to offer. We have countless clients that have built it while being in pretty bad shape physically that called us to say it was one of the best things they've ever done. They said it gave them purpose, wasn't hard at all and the project even improved their health by keeping them in the fresh air more.